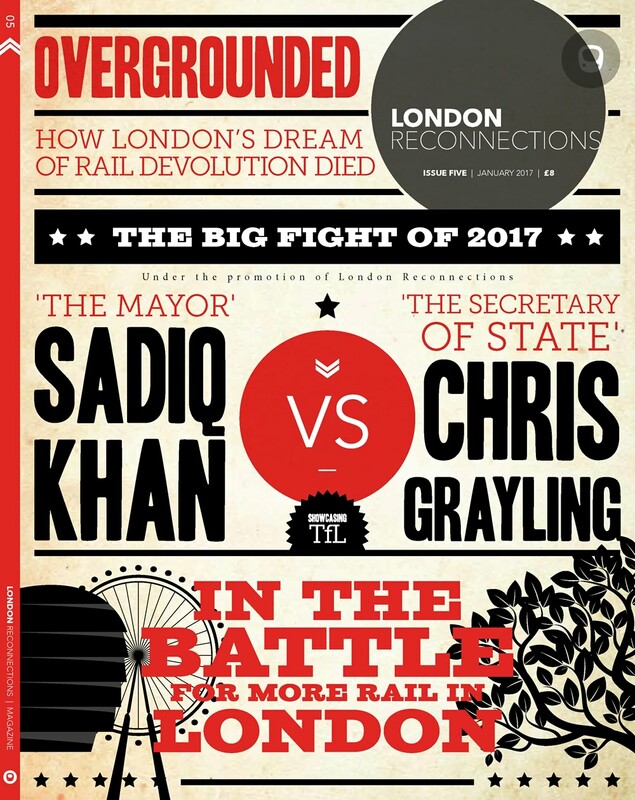 It may not have attracted the attention of most London Reconnections readers but recently a new rail franchise that serves London was announced – one with a start date of 1st April 2015. This is the new Caledonian Sleeper which is being split from the main Scotrail passenger franchise and will be delivered as a dedicated stand-alone franchise for the first time. The new franchise is specified by Transport Scotland, an arms length agency of the Scottish Government who are responsible for the delivery of internal rail services in Scotland (via the main Scotrail franchisee). They also specify Scottish rail infrastructure improvements to Network Rail via the High Level Output Statement (HLOS) process and have a number of other transport responsibilities including ferries, trunk roads and concessionary fares. Responsibility for England – Scotland rail franchises are split with the daytime Intercity cross-border franchises (East Coast, West Coast, Cross Country and Transpennine Express) specified (and funded) by the Department for Transport in London with some input from Transport Scotland whilst this new Caledonian Sleeper franchise is the reverse. The relevance of Scottish franchising decisions to London’s transport network may initially seem indirect at best. Long distance franchises, however, can sometimes be the butterfly to London’s thunderstorm and that is something of the case here. This is because the unusual configuration and operation of the two daily sleeper services (each way) have a large platform requirement at Euston, with knock on effects for the construction of HS2 and the through running of Crossrail services to the West Coast Main Line. The Caledonian Sleeper service leaves London as two separate 16 car trains in the late evening, with the Lowland Sleeper splitting at Carstairs to serve Edinburgh and Glasgow and the Highland Sleeper splitting at Edinburgh to serve Inverness, Aberdeen and Fort William (as well as 36 additional intermediate stations in Scotland and 4 intermediate stations in England). Heading south the reverse happens, with five trains leaving Scotland each night (except Saturdays when no services run) and becoming two trains on arrival at Euston. Even with an improved turnaround time sleeper services are likely to take at least 45-60 minutes to clear the platforms and the two sleeper platforms cannot easily be counted on for use by any other trains in the morning peak (although they are fully available in the evening peak period). Continued operation of the Sleeper? Question 37 – Should we continue to specify sleeper services, or should this be a purely commercial matter for a train operating company? One man in particular responded quickly to this consultation – George Osborne. In his 2011 Autumn Statement he announced that the UK Treasury would contribute £50m (if matched by additional Scottish Government funds) towards the capital cost of procuring new sleeper carriages. It is perhaps fair to say that proposing additional unsolicited spending on the railways is not something that HM Treasury is particularly known for. The forthcoming Scottish Independence referendum may have played its part in the Government’s thinking, or perhaps the longstanding historical usage of the sleeper by Scottish MPs (including current Chief Secretary to the Treasury, Danny Alexander MP). For as Bernard Woolley once (fictionally) opined, one should never underestimate the role played by personal experience in transport policy. Bernard: The M40 is a very good road. Jim Hacker: So is the M4. Why did we get two really good roads to Oxford before we got any to the ports? Bernard: Because nearly all our Permanent Secretaries went to Oxford, Minister, and most Oxford colleges give very good dinners. Whatever the reasoning, the funding announcement seems to have ensured that paths and platforms will be required at Euston for some time. 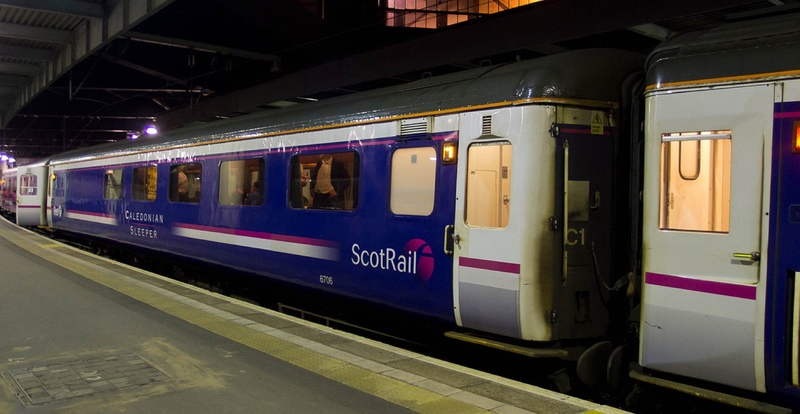 With funding for replacement rolling stock in place a decision was made to tender the Caledonian Sleeper separately from the main Scotrail Franchise with the Invitation to Tender (ITT) published in Summer 2013. On 27 May 2014 the winning Franchisee was announced as Serco plc, a name that will also be familiar to followers of London’s railway networks. Serco are the current operator of Docklands Light Railway (DLR), although not for much longer. Having run the franchise on behalf of TfL since 1997, it was announced earlier this year that they had been unsuccessful in their bid to retain the franchise. Instead it will pass to Keolis Amey in September this year, who will be responsible for DLR services until April 2021. Winning the Caledonian Sleeper will perhaps come as some small consolation for this loss, especially as it represents their first successful solo UK mainline railway franchise bid after joint ventures with Abellio for Merseyrail and Northern Trains. While Serco’s UK reputation as a nuts and bolts outsourcing firm may seem more relevant to an urban rail system than a sleeper service, the strong focus in the ITT on improving the high value tourism potential of the Caledonian Sleeper has seen Serco emphasise their operation of tourist focused rail services in Australia, namely Great Southern Rail, which runs iconic trans-continental services the Indian Pacific and the Ghan. The new Franchise will start in April 2015 and included in the deal are new trains to be manufactured by CAF in Spain, to be delivered by summer 2018. 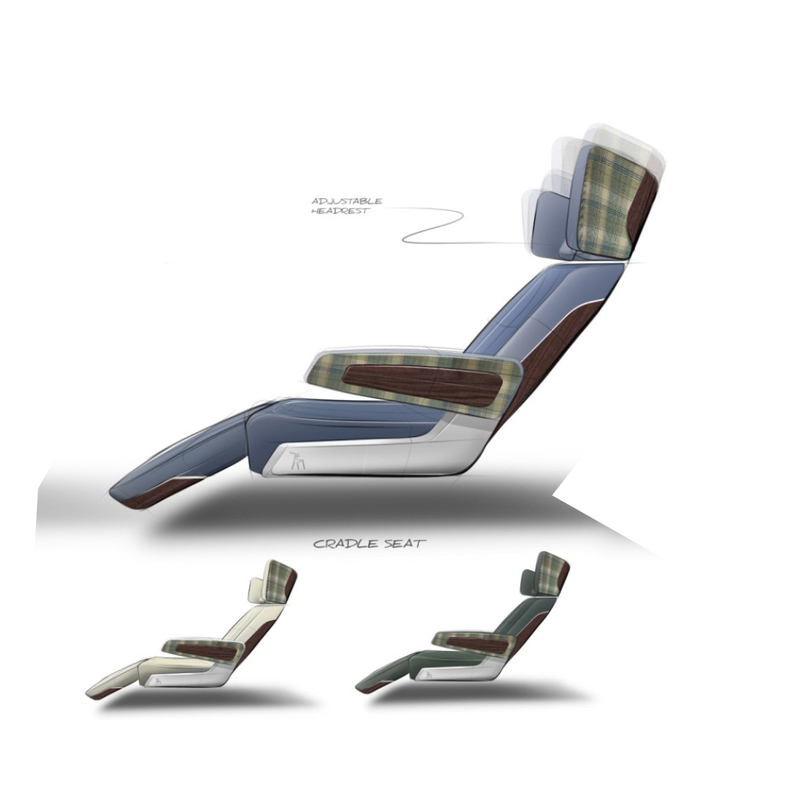 The new carriages will include Cradle Seats and Pod Flatbeds (similar to airline Business Class seats) to replace current seated accommodation and improved berth accommodation including for the first time in the UK, a number of ensuite berths. With lease rights to the stock to transfer to the Scottish Government at the end of the 15 year franchise term and a likely 30 year plus working life for the stock, this looks likely to secure the future of the Caledonian Sleeper service for the next 15-30 years. Clearly a Euston without the sleepers would be easier to construct and operate for HS2 Limited. However 400m platforms in London that are not currently utilised in the morning peak are not easily found. The former Waterloo International platforms have been suggested but they have other potential uses and are tricky to access from the WCML, with Scottish stakeholders unhappy at the prospect of extended journey times and disruption to services. Paddington may seem obvious as it is the home of the second UK sleeper train, the Cornish Night Riviera service. However there is not sufficient capacity at Paddington in the morning peak for 2 more sleepers and the longest platforms are only 315m, so unsuitable for the longer Caledonian Sleeper operation. With 400m platforms elsewhere in London hard to come by, it seems likely that diverting WCML slow line services onto Crossrail will prove an easier option both for freeing up platform capacity at Euston during construction and for allowing additional WCML fast services after the opening of HS2. Whatever the solution, it seems that this seemingly small franchise will have a surprising ripple effect on London’s railway network for many years to come. 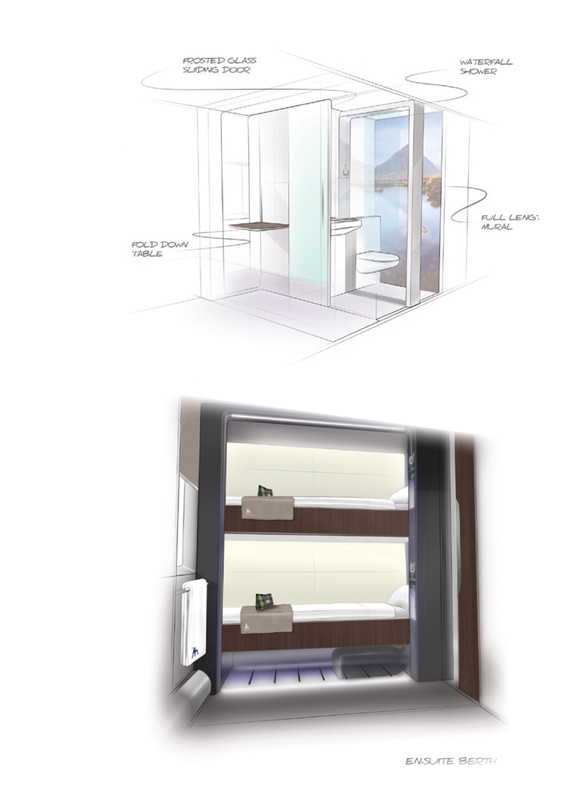 The Caledonian Sleeper’s new website Sleeper.scot is now up, and allow customers to book tickets for Caledonian Sleeper services from Scotland-Euston from April 1, 2015. The website allows passengers to book up to a year in advance of their travel dates, which is the longest advance for any UK train operating company. ssh – don’t tell everyone! Coincidentally I have just this afternoon made a booking for August using the Serco site. The train seems to be almost full already, which may be more than a little annoying to people who try to book when the usual 12-week-ahead date arrives. An odd quirk is that Standard Class single-occupancy on my selected date is £5 more expensive than First class. Given that First includes a £15 dinner voucher, that means that the breakfast that Serco also include in the first class package must be worth minus £20! Really full or pretend full? I bought an August ticket a couple of weeks ago. The last and possibly first sub-£40 seat available on the train, and only customer 300 and something. I noticed sole occupancy tended to be more expensive than a pair of tickets as well as, often, a first. At those prices, gone are the days of paying for a spare [bargain] berth. I see airport Premier Inns remaining part of my life. Probably pretend-full – the system seemed to allow me to choose a cabin, but said that no cabins were available other than the one it had allocated to us. (1/2, next to the loo). It is during the Edinburgh Season (and the grouse shooting season……), so it’s possible it may be booked up already. Thursday nights are not particularly popular though.